Lock in a great price for Seafront Apartment – rated 9.4 by recent guests! 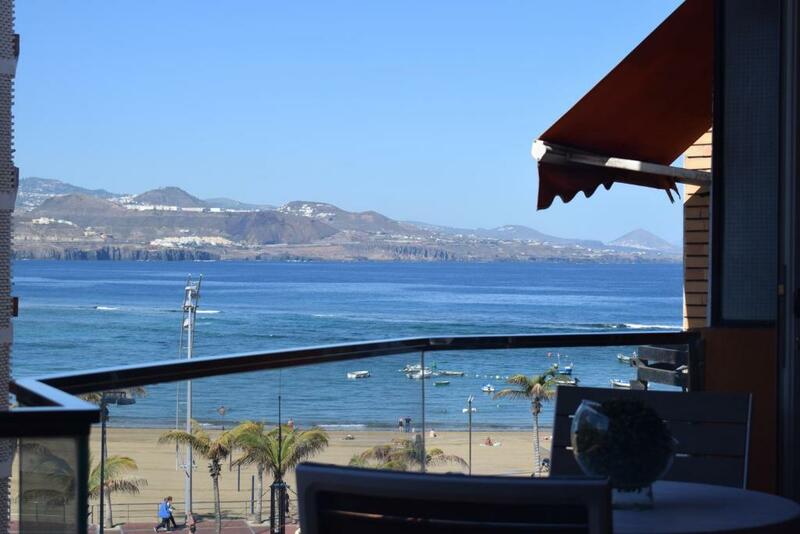 Providing free WiFi, Seafront Apartment is located on the beachfront in Las Palmas de Gran Canaria. 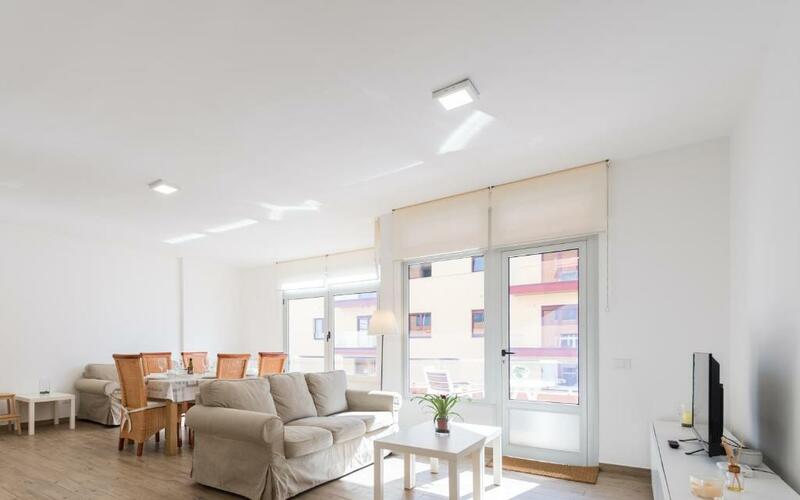 The property is a 10-minute walk from Parque de Santa Catalina. 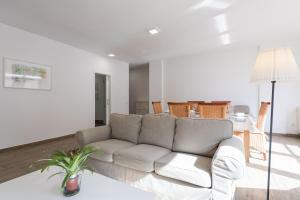 The apartment consists of 2 bedrooms, a kitchen with dining area, and a bathroom with bidet. A flat-screen TV is provided. Centro Comercial El Muelle is 1.4 miles from Seafront Apartment, while Poema Del Mar Aquarium is 1.6 miles from the property. 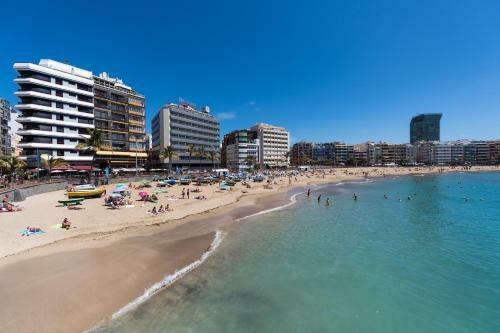 The nearest airport is Gran Canaria Airport, 17 miles from the accommodation. 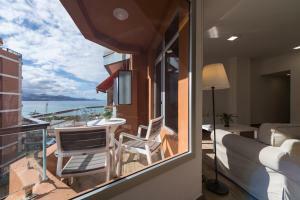 When would you like to stay at Seafront Apartment? The two bedroom house was recently renovated. 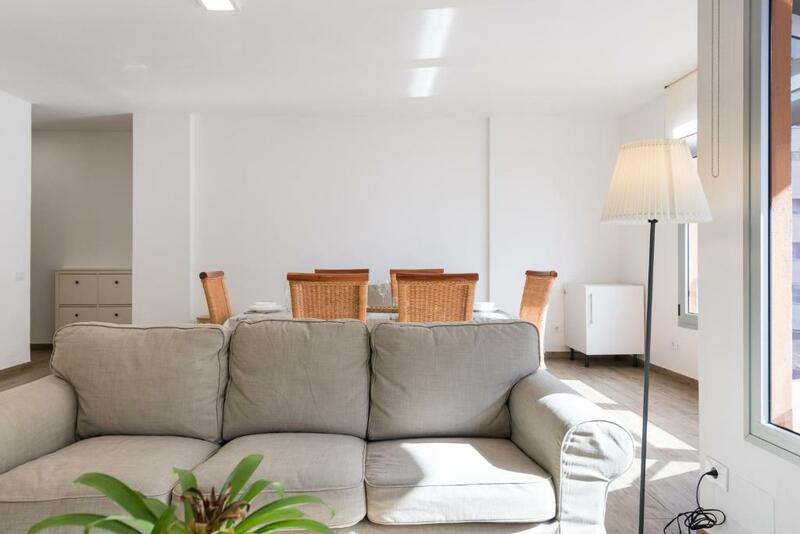 The apartment (100 sqm) is perfectly complemented by a gorgeous private terrace overlooking the famous Las Canteras beach. It is a great place to relax and to see the evening sun. 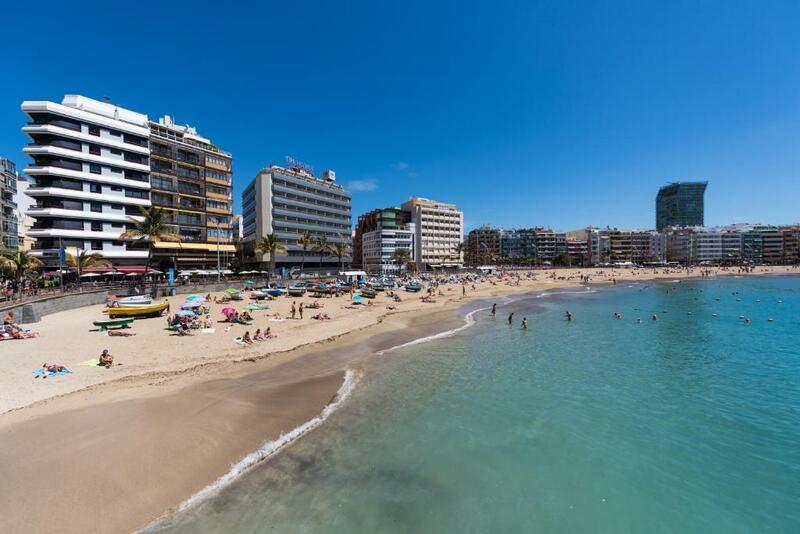 Las Canteras beach has recently been selected as the best urban beach in the world. 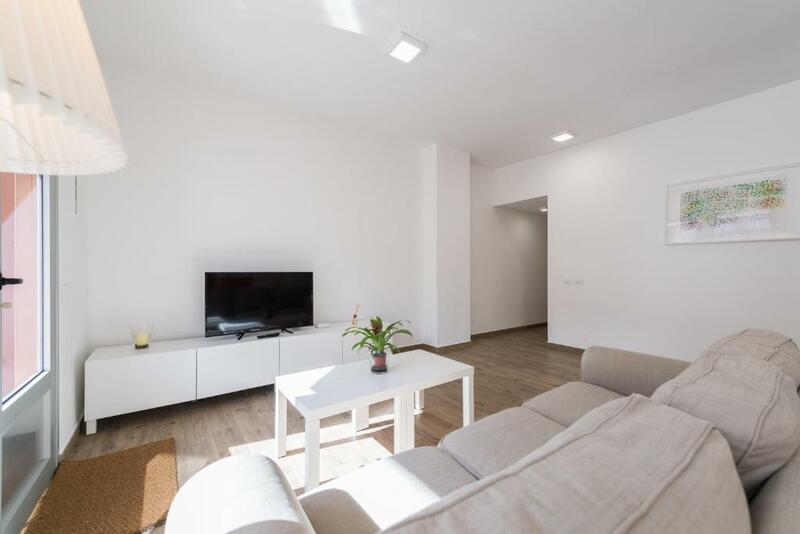 There are plenty of restaurants and cafes within a few minutes of the apartment, a large supermarket is in front of the building, and several grocery shops within one minute walk. House Rules Seafront Apartment takes special requests – add in the next step! Seafront Apartment accepts these cards and reserves the right to temporarily hold an amount prior to arrival. Please inform Seafront Apartment of your expected arrival time in advance. You can use the Special Requests box when booking, or contact the property directly using the contact details in your confirmation. The smaller bathroom shower can be a little tricky. Excellent apartment overall. 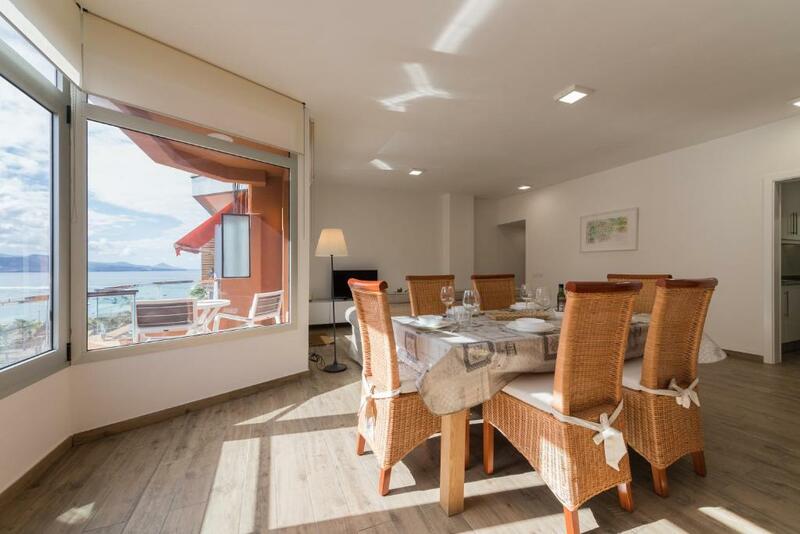 Location is superb, close to the beach and lots of good restaurants. Very spacious, with 2 bathrooms which is a bonus. Large and well stocked kitchen and separate laundry room. Wonderful South facing balcony which gets plenty of sun and has nice views of the beach and promenade. The host was very kind in waiting for us when our flight was delayed by an hour on arrival. I had a little difficulty with the shower in the small bathroom.. It did not run away easily and tended to flood over onto the floor. The steps in the front hall were a hindrance to my friend. A ramp would have been helpful there. We liked the brightness and airiness of the apartment, it's lovely views and the excellent facilities, both inside and out. It was so handy to the promenade, local restaurants, super market etc. And we were particularly impressed by our host, who met us at the airport and gave us a very warm welcome! He was most helpful and fixed our I pads to the Internet, in fact he was the perfect host!